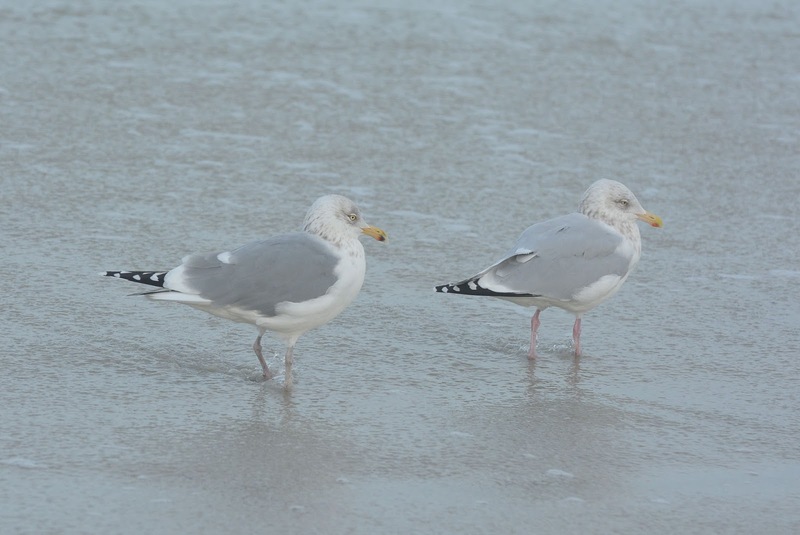 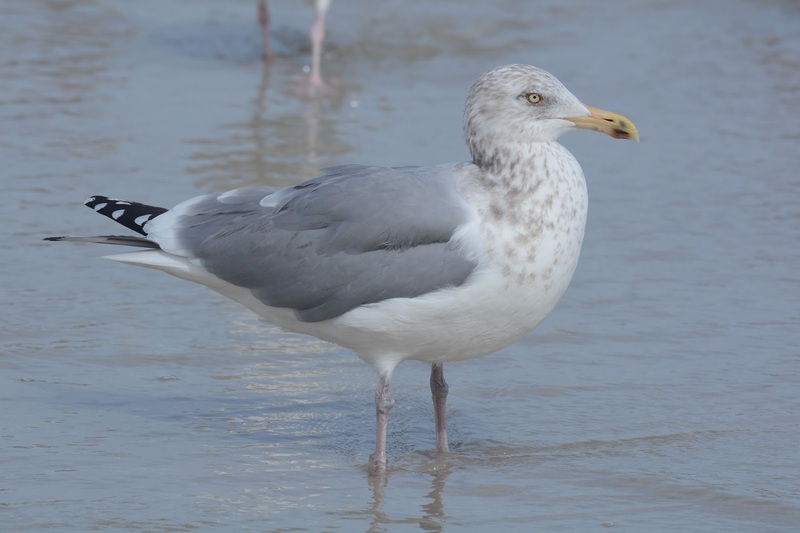 Anything Larus: Dark American Herrings or Hybrids? 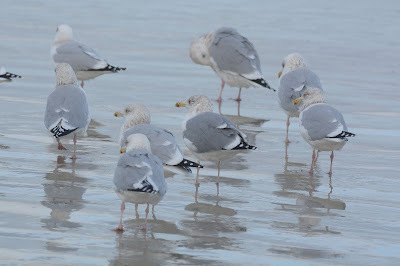 I contend that bird #2 has a primary pattern much better for argentatus than for smith: The gray on the underside of P10 is classic argentatus (short, with diagonal edge against the black), and from above P8-P6 have no black bayonets on the outer web nor are there any "W" patterns in the black subterminal bands. A tiny bit of black on P5 and the P10 mirror with a little subterminal black are okay for argentatus, I think. 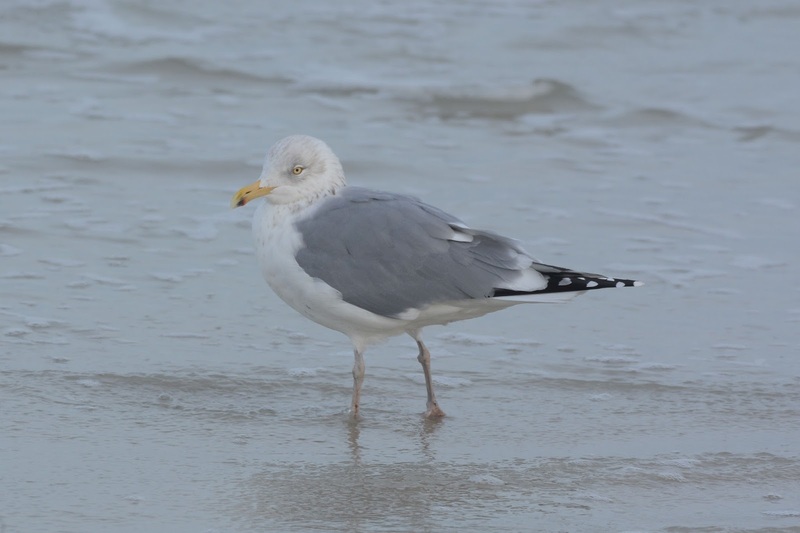 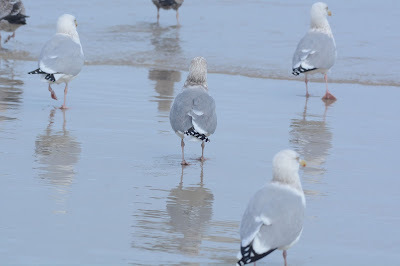 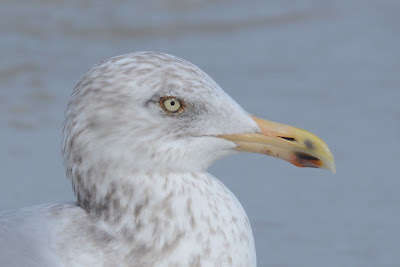 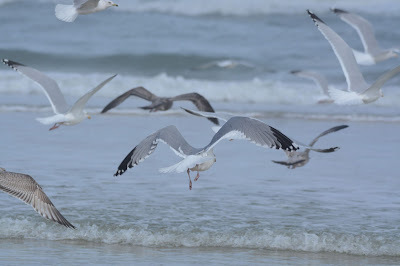 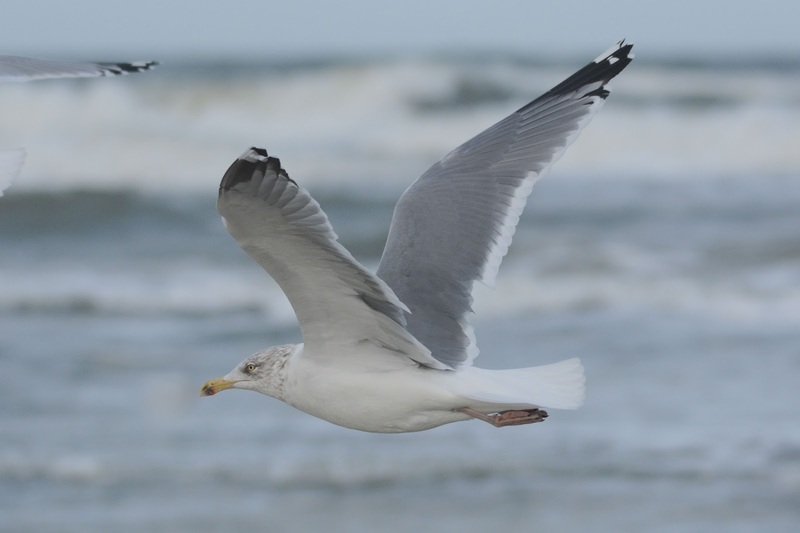 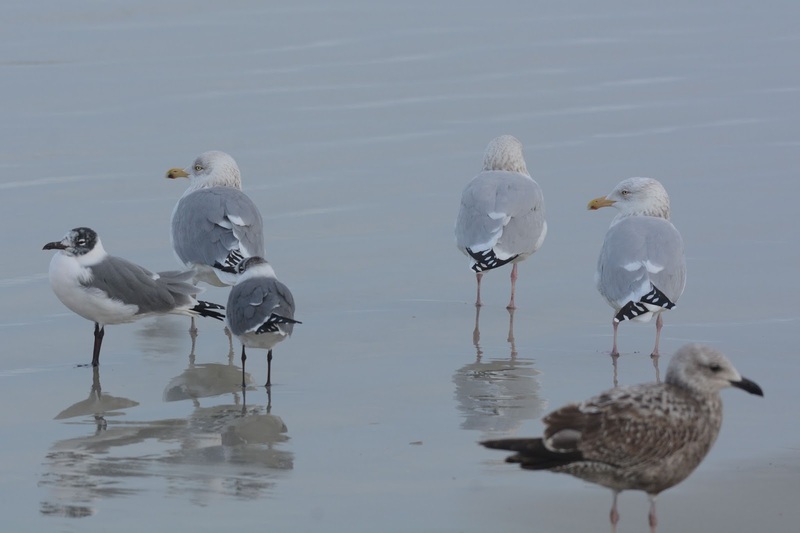 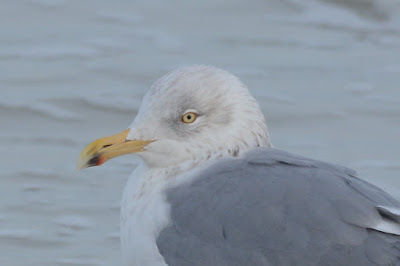 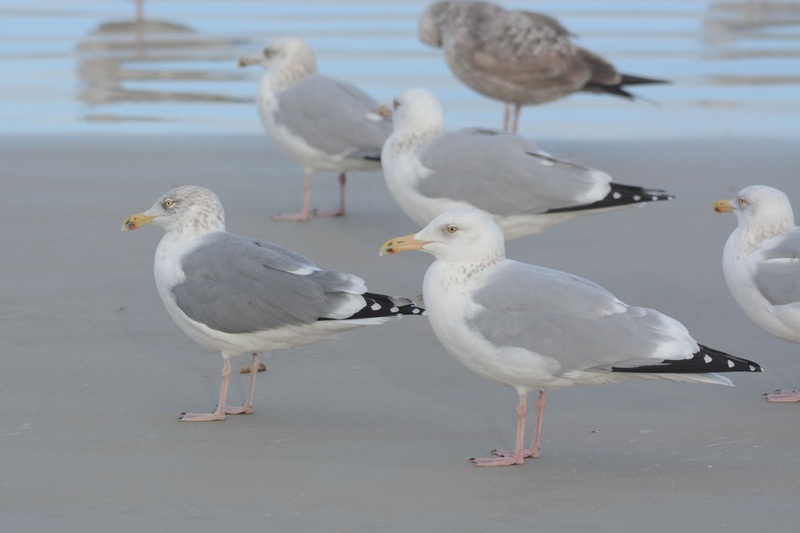 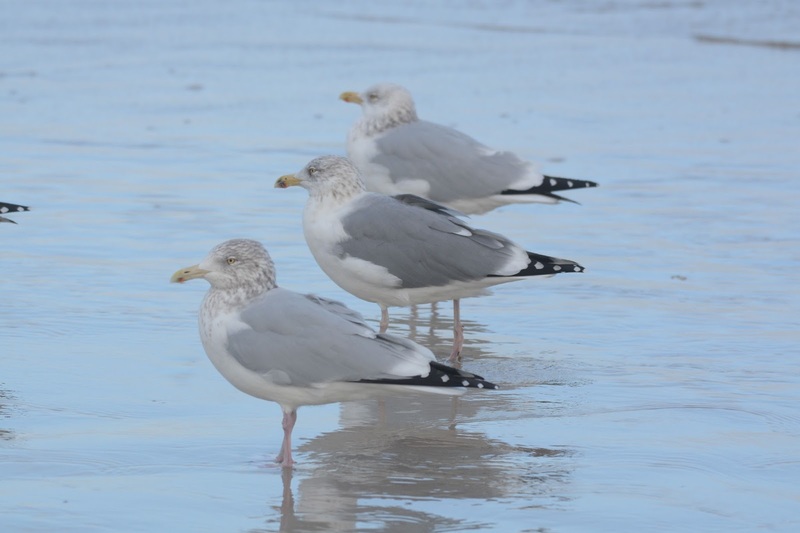 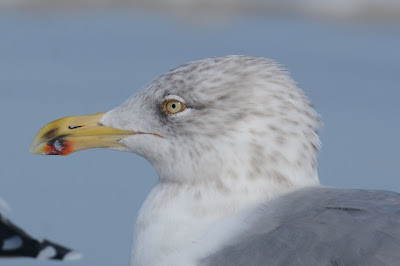 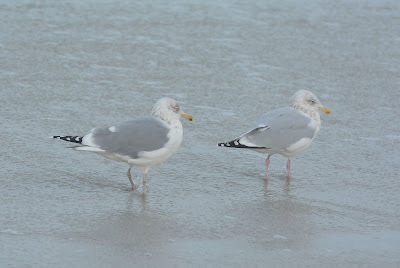 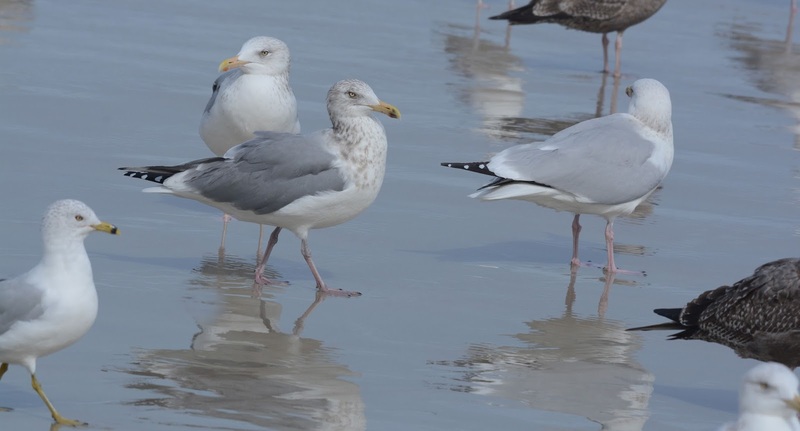 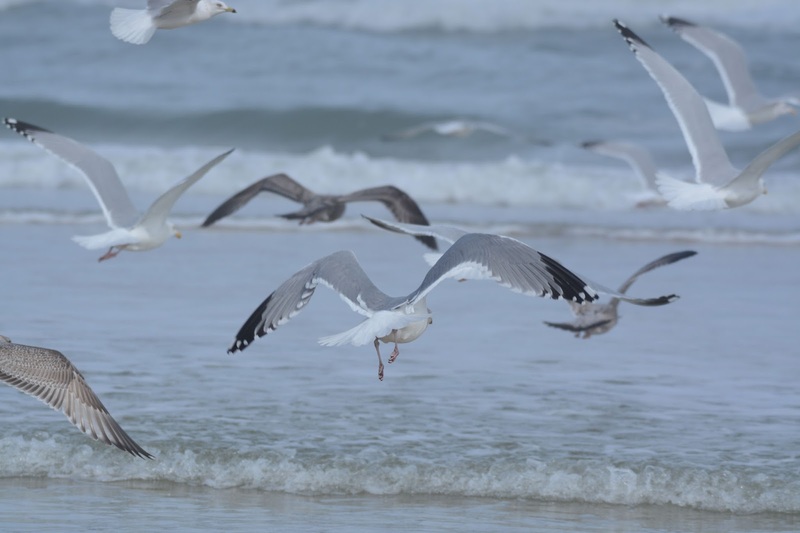 Hi, I am from central Europe where European Herring Gull is common species. 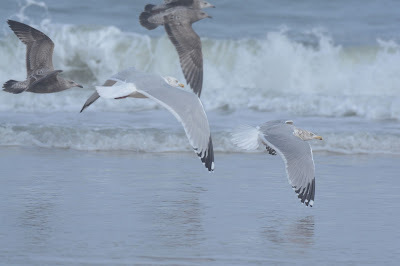 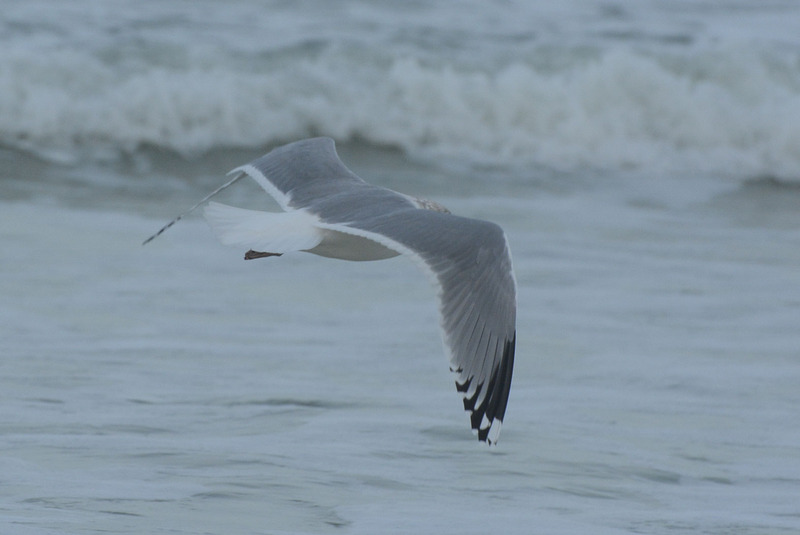 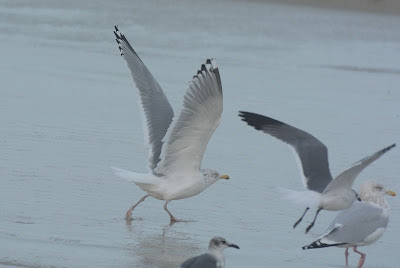 Except the wing pattern of bird #2, the bill colour seems more saturated orange-yellowish, and leg colour less pinkish than other gulls in photos. I think these features also indicates EHG. 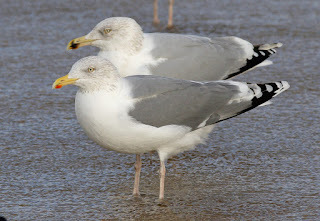 I'm not a gull specialist but I think it is good candidate for something from Europe. 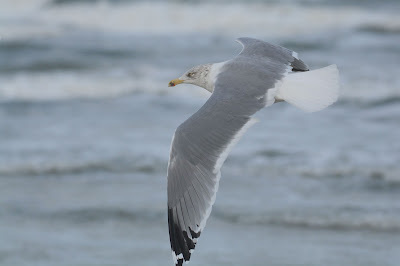 How many records of EHG do you have in North America?